Liby Monuments is a locally owned monument company with an established reputation for superior quality and price for its products. 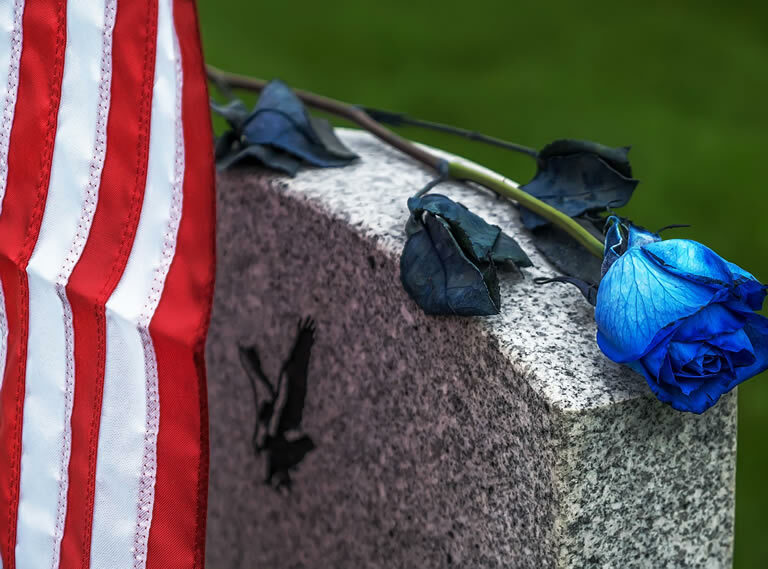 Our on-site production capability enables each customer to see their memorial progress from the design stage through installation. Our Mission is to be "Serving families with compassion, understanding and integrity as we help them honor the lives of those they love for generations to come." 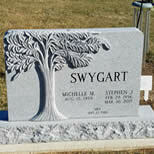 You are involved with the same people from the initial contact through the installation of your memorial. Liby Monuments is not a sales office for another company, we deal directly with granite companies...providing us with access to granite from around the world. By working together with our suppliers and providing the lettering and installation services in-house, we are able to pass those savings onto each customer. Liby Laser Creations is a separate division specializing in customized laser engravings on a variety of surfaces such as brick, wood, and picture frames. These products are perfect for special occasions such as weddings and graduations. 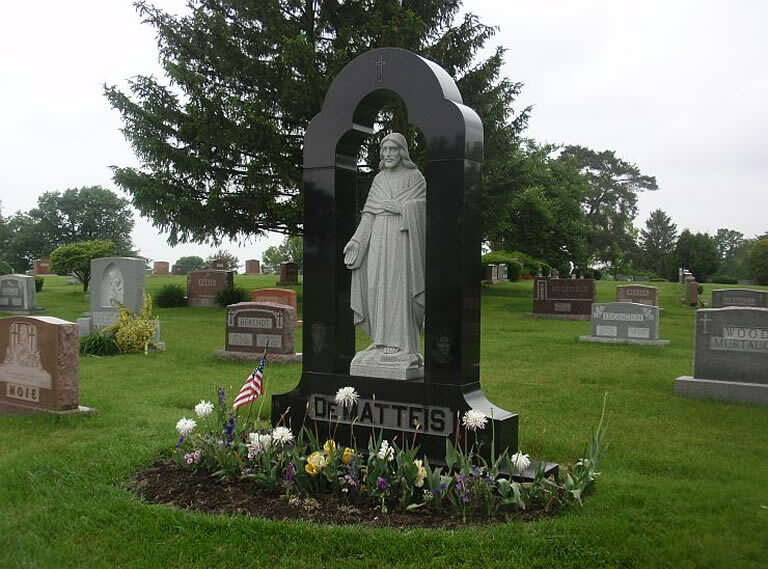 The main style of memorialization is upright monuments. There are various aspects that affect the cost of a monument; color, custom shape vs. traditional shape, areas of polish and size. 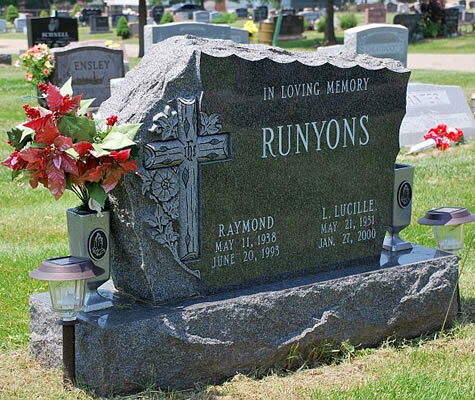 Cemeteries have different rules and regulations regarding monuments and markers. Before you buy a cemetery lot, make sure to ask what kind of monuments and markers are allowed. 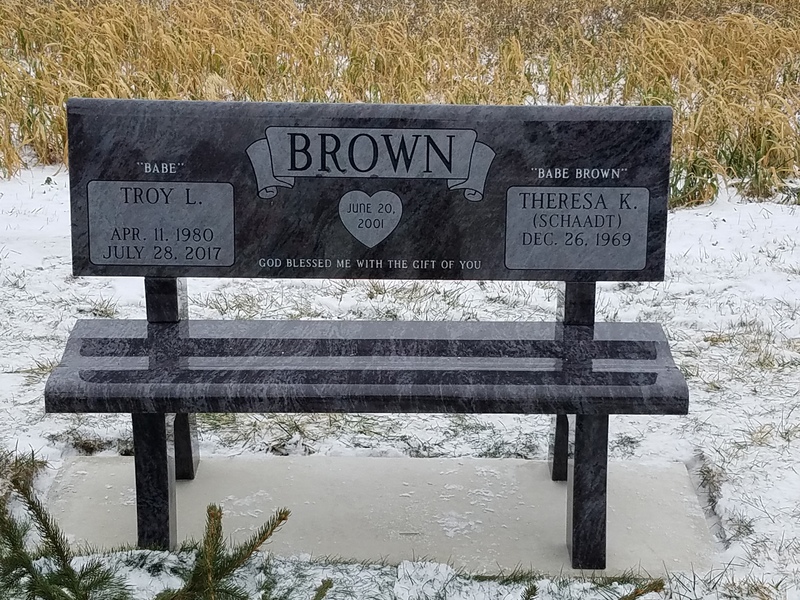 Cremation Memorials: Cremains can be buried in the ground or they can be placed inside a columbarium or bench style monument or in the base of a traditional monument. 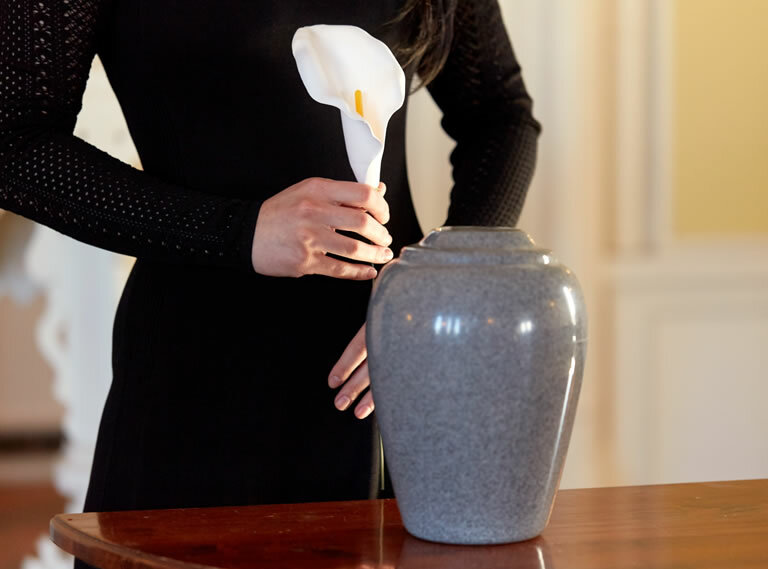 Cremains can also be kept in an urn at home place, scattered or put in beautiful pieces of jewelry or glass artwork. Providing a quality product with the best possible pricing is important to us. We invested in our own Sandblasting system so that we can truly provide a complete, in-house monument project for you. 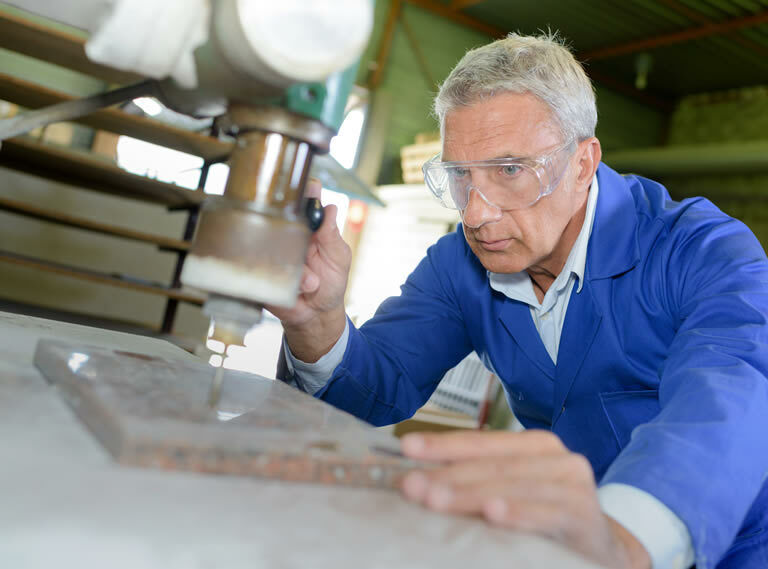 Having the ability to do our own Sandblasting means we don't have to send your monument out to third parties, keeping your costs low. We have provided many military services and know what’s required to give our heroes the respect deserved. Bronze military plaques are provided by the Veteran’s administration which can be installed directly on a monument. I took some ideas for a monument for my husband and me into Molly at Liby's. She sat down with me and made this process as painless as possible! She helped me step by step create the most beautiful monument that my husband and I could have hoped for, we wanted something personal and unique and that's exactly what we got. I have received so many compliments on our bench monument. A big thank you to everyone who made it possible and helped me through the most difficult time in my life. Liby Monuments' staff were very knowledgable, personable, non-pressuring and very helpful in providing guidance in choosing our monument. We were shown many samples, various types of stones, engraving techniques and styles available to choose from. We mutually decided to design our own monument, since we both love the beauty of nature and rock formations. We drew up our design and presented it to Liby Monuments. Molly designed the monument onto the computer with various option sizes along with getting quotes from multiple quarry companies, etc. Through meetings in person, e-mails and phone calls...our masterpiece was ordered, created and completed within the original time frame stated. We are very happy and pleased with our monument and the expertise of Liby Monuments. 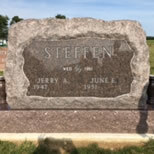 The daunting task of choosing an appropriate marker became manageable with the knowledgeable staff at Liby Monuments. Molly’s compassion, patience, gentle guidance and expertise proved invaluable in designing a stone that reflected our simple lifestyle . She entertained my ideas and, after clarifying and offering helpful suggestions, perfected a selection in an acceptable price range, that exceeded my expectations.